If you are a fan of Green Tea, you will love our Green Tea vape e liquid from Logic Smoke. It has a gentle green tea flavor that is wonderful enjoyed by itself, but also is great when mixed with some of our fruity flavors such as raspberry and blueberry. 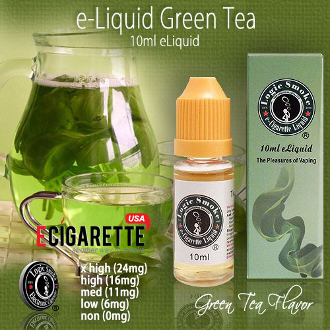 Pick up a bottle of Green Tea Logic Smoke E-liquid today and enjoy the flavor of Green Tea anytime.